Ultrasound-guided joint injections are a safe, non-invasive approach to treating pain, inflammation and impaired mobility. The procedure is often recommended when other conservative treatments such as oral medication, joint manipulation and physical therapy have been ineffective. Your physical medicine and rehabilitation physician is the best source of information regarding ultrasound-guided injections. But the following overview will give you a basic idea of what you can expect from this treatment. How Are Ultrasound-Guided Injections Performed? Ultrasound technology captures live images of internal body structures through the application of high-frequency sound waves. Although this imaging technique may be best known for assessing the progression of a pregnancy, physicians also frequently take advantage of the safe, non-invasive technology when performing joint injections. Guided injections are much like conventional injections, but with one key difference — ultrasound provides the doctor with “X-ray vision” for performing the procedure. Instead of relying on touch and experience to determine optimal injection placement, the physician uses the imaging probe to create a live video of the joint tissues. The clear, detailed images guide the insertion of the needle and the administration of the medicine. What Are the Benefits of Ultrasound-Guided Joint Injections? With experience, a skilled and trained physical medicine and rehabilitation physician can identify the proper placement for some types of joint injections without using imaging technology. 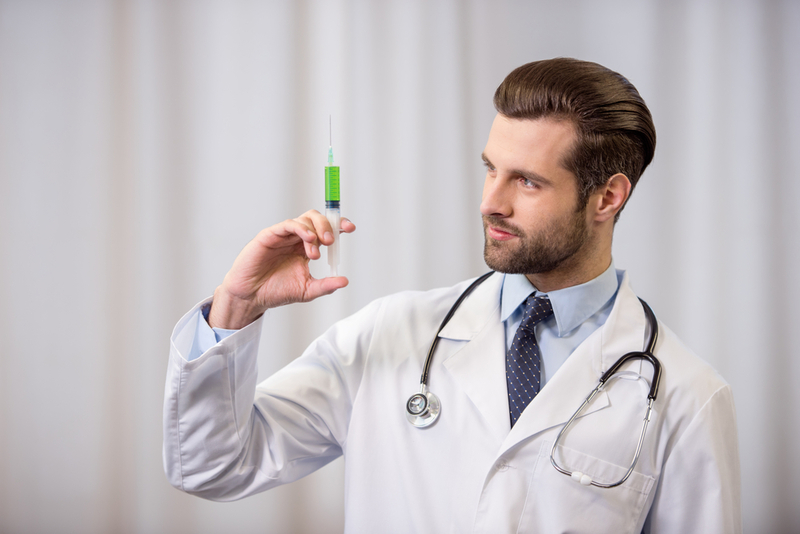 However, doctors often prefer guided injections, as they offer several significant benefits. Improved accuracy — Shoulder, wrist, hip, knee and ankle joints are complex anatomical structures, and the area that needs to be treated may be just a few millimeters in size. With ultrasound guidance, pain and anti-inflammatory medication can be injected into the ideal spot for long-lasting symptomatic relief. Improved safety — After more than 20 years of use, ultrasound imaging is known to be safe. And since the physician can see exactly where the needle is going, the risk of complications from improper placement is greatly decreased. Reduced procedural pain — Ultrasound-guided injections are typically considered quicker and less painful than conventional injections. How Long Is the Recovery from Ultrasound-Guided Injections? Before scheduling you for a joint injection, your physician will provide you with specific information and instructions for your recovery. Most patients are instructed to rest the affected joint as much as possible during the 24 to 48 hours after an injection. The medication can take a few days to begin working and getting adequate rest can help patients achieve the maximum benefit from the procedure. In addition, patients should be aware that pain may increase during the 12 to 48 hours following a joint injection. The needle can create additional inflammation in the affected area, which may lead to heightened pain. If this happens to you, applying ice and taking your regular pain medication should be enough to provide relief. However, you should contact your physician if these measures are inadequate or if you become concerned about your pain level. Ultrasound-guided joint injections are not a cure-all, and they may not be appropriate or effective for some patients. Your physical medicine and rehabilitation physician can tell you more about the results you can expect from ultrasound-guided joint injections. This entry was posted in News on April 3, 2018 by Robert Engelen, DO.